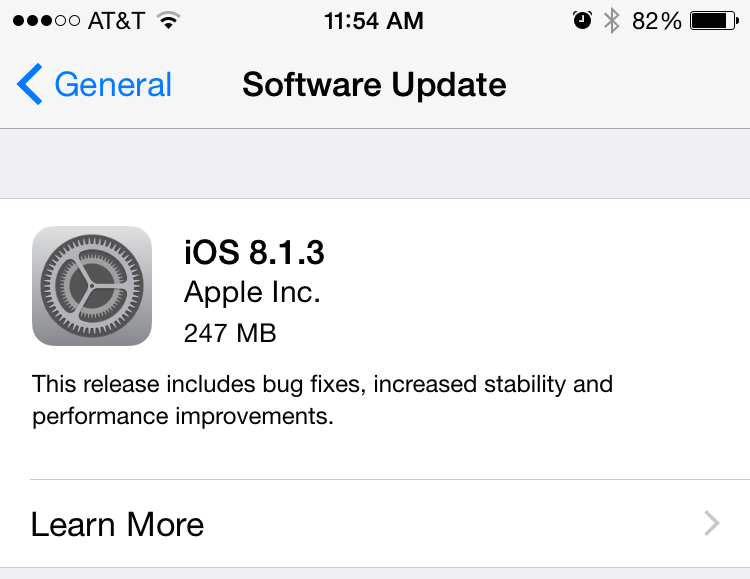 Apple has updated its mobile OS today, with the release of iOS 8.1.3. Over the last few update cycles, the company’s update schedule has begun to pick up the pace and we’re seeing updates to its framework sooner than we used to before. Looks like the company is intent to fix bugs and other problems in its operating system as soon as possible. With the release of iOs 8.1.2, Apple fixed a user ringtone issue affecting several users with purchased tunes. Today’s iOS update comes with minor bug fixes and updates on board. Looking at the changelog for the update, we find that iOS 8.1.3 reduces the amount of storage space required for an iOS update, something which should be a relief for users with 16 GB variants of the iPhone, iPad or the iPod. In addition to this, issues with Apple ID for facetime and messages, multitasking for the iPad and new configuration options for education standardization have also been added. And if you’re not a big fan of Apple’s over the air updates, then here’s a complete set of links for your iOS downloads. So download the iOS 8.1.3 update for your Apple device as soon as possible to stay update with all the latest security and other offerings from Apple. However, today’s update also most likely means that Apple has fixed Pangu and TaiG exploits for its software, so if you like yur device nice and jailbroken, it would be wise to wait before we’re absolutely sure that either the tools still work with the update, or in the other case, untill new solutions become available. Whatever the case, stay tuned, we’ll keep you updated.